Pavement maintenance is hard work. Whether you’re a contractor or you work for a contractor or public works department, you sweat through long, hot days and take pride in a job well done. 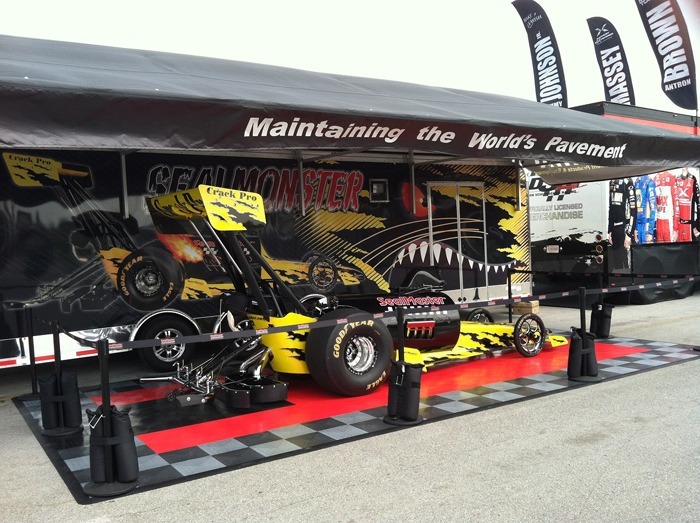 As part of SealMaster’s sponsorship of the NHRA, we’re not only promoting the SealMaster brand, we’re advocating the importance of timely pavement maintenance and professional application by qualified contractors. When we take the SealMonster on tour, our signage advises: “Be sure to ask for SealMaster!” and provides a toll-free phone number to locate contractors who use SealMaster products and equipment. We refer these calls to SealMaster franchises, which recommend contractors who work in the local area. tree, and 20 more themed trees which might be a lot more than 30 feet tall. content, however this web site presents feature based content.